You can create killer apps from scratch without a bit of programming experience! 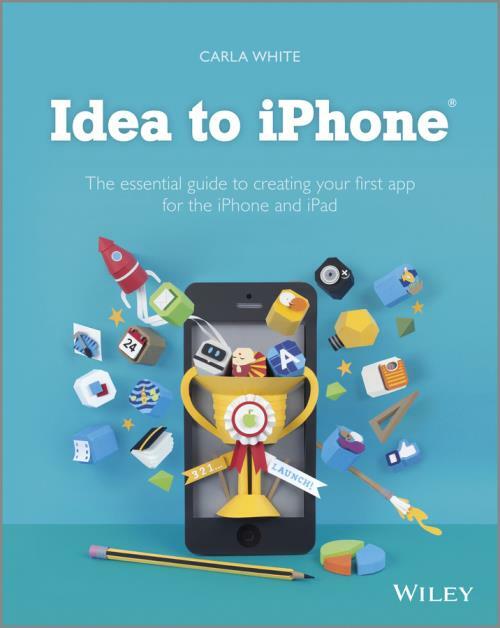 Have a great idea for an app but don′t know how to build one? No problem. Even if programming your TV remote control is a major challenge, the amazing simple process outlined in this book will have you creating brilliant apps for the iPhone, iPad and iPod touch in no time––guranteed. Already have an app but don′t know how to storm it up the charts? Problem solved. Armed with app expert Carla White′s proven marketing tips you may soon be joining the ranks of people worldwide who have turned their apps passions into apps fortunes. Want yo know how to breathe virtual life into your brilliant app ideas––without a lot of cash or any coding skills? LetIdea to iPhone show you how.